Conducting employee focus groups can be a great way to gather employee opinions, insights, and actionable ideas to make your workplace better. You can use them as part of your employee survey action plan or anytime throughout the year. This ebook will help you get started. Share this resource with your managers! 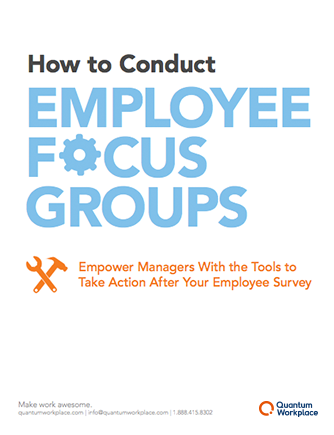 This ebook is the perfect guide to prep managers for hard conversations.